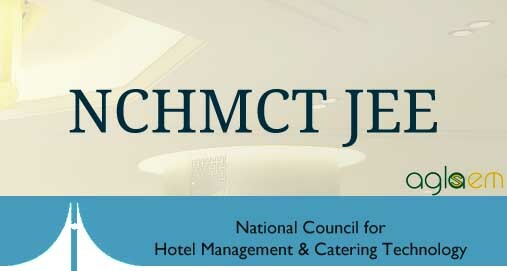 NCHMCT JEE is a popular hotel management examination for the students who want to pursue hospitality as a career. This exam is scheduled for 27 April 2019. Candidates who are interested in taking this examination will be able to apply online from 15 January 2019. 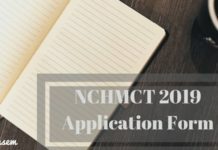 Here in this article we will tell you about the exam pattern along with the syllabus for NCHMCT JEE 2019 and link to practice various sample papers and previous year question papers. Let us take a look on the following. NCHMCT JEE exam paper has five sections – Numerical Ability and Analytical Aptitude, General Knowledge & Current Affairs, Reasoning and Logical Deduction, English Language as well as Aptitude for Service Sector. 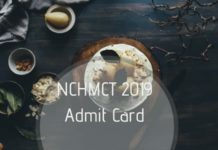 The maximum allotted marks in NCHMCT JEE 2019 is given to sections in which questions are asked from English language (60 questions) and Aptitude for Service Sector (50 questions). 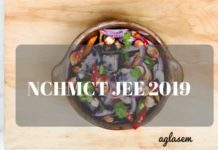 What is the exam pattern for NCHMCT JEE 2019? The exam comprises of total 200 marks, given below is the exam pattern for NCHMCT JEE 2019. The time duration given to individual candidate to solve the question paper is 3 hours. Question paper will be in bilingual language, candidates can answer either in Hindi (except for English language paper) or English as per their choice. Each correct answer under Numerical Ability & Analytical Aptitude, Reasoning & Logical Deduction, General Knowledge & Current Affairs and English Language components carry one mark. For any wrong answer 1 marks will be deducted. Graded mark(s) will be awarded under Aptitude for Service Sector component in the following manner; the most appropriate answer carries 4.00. Unanswered/Marked for Review answer will carry no marks. Sample papers are the easiest way to prepare for the examination. Through sample papers aspirants get an idea of the question paper and difficulty level of the entrance examination. By solving sample papers candidate easily manage the time to solve the question paper within given time limit. Sample papers develop a speed and more accurate answers can be answered by the candidate. In order to help the candidates we have provided with NCHMCT JEE 2018 sample papers so that candidate can prepare for next entrance examination. For more practice and preparation candidate should also practice previous year question papers which will be shortly available on our website. The sample questions/guidelines are only informative and indicative for the candidates. The actual questions may vary in difficulty level and content dispersion. 1. The difference of the squares of two consecutive odd integers is divisible by which of the following integers? 2. Nine persons went to a hotel for taking their meals. Eight of them spent 12 each on their meals and the ninth spent 8 more than the average expenditure of all the nine. What was the total money spent by them? 3. A, B and C started a business by investing 1,20,000, 1,35,000 and 1,50,000 respectively. Find the share of C, out of an annual profit of 56,700. 4. Two pipes can fill a tank in 10 hours and 12 hours respectively while a third pipe empties the full tank in 20 hours. If all the three pipes operate simultaneously, in how much time will the tank be filled? Directions (Questions 5-8): Study the following pie-chart and table to answer the questions based on them. 5. Find the population of village S if the population of village X below poverty line in 2014 is 12160. 6. The ratio of population of village T below poverty line to that of village Z below poverty line in 2014 is _________. 7. If the population of village R in 2014 is 32000, then what will be the population of village Y below poverty line in that year? 8. If in 2015, the population of villages Y and V increase by 10% each and the percentage of population below poverty line remains unchanged for all the villages, then find the population of village V below poverty line in 2015, given that the population of village Y in 2014 was 30000. 9. A is B’s sister. C is B’s mother. D is C’s father. E is D’s mother. Then, how is A related to D? Directions (Question 10): Complete the series. Directions (Questions 11-12): The questions given below have a statement followed by two assumptions I and II. Decide which of the assumptions is implicit from the statement. 11. Statement : Most people who stop smoking gain weight. I. If one stops smoking, one will gain weight. II. If one does not stop smoking, one will not gain weight. 12. Statement : Postal rates have been increased to meet the deficit. II. If the rates are not increased, the deficit cannot be met. 13. How many members of Rajya Sabha, the upper house of Parliament of India retire in every two years? 14. “Ginger Hotels”, the popular chain of budget hotels is owned by the__________. 15. Which company has introduced its tea brand “Teavana‟, in India in January 2017? 16. __________ has been recently announced as the best actress in the 64th National Film Awards for the year 2016. (3) quiet and an introvert. (3) adjusting with other members, but as it suits you. (4) not getting much involved with group activities. (1) tell him that he has no business to behave like that. (2) shout back at him and tell him that he is unreasonable. (3) politely tell him that he is unreasonable. (4) try and resolve his problem or inform your seniors. (1) quietly vacate the berth. (2) apologise and then vacate the berth. (3) tell the passenger that you would vacate after you get a berth. (4) vacate but tell the passenger that nothing much has happened and he should not make a fuss. Directions (Questions 21-22): Read the following passages carefully to answer the questions that follow. The first step is for us to realize that a city need not be a frustrate of life; it can be among other things, a mechanism for enhancing life, for producing possibilities of living which are not to be realized except through cities. But, for that to happen, deliberate and drastic planning is needed. Towns as much as animals, must have their systems of organs-those for transport and circulation are an obvious example. What we need now are organ systems for recreation, leisure, culture, community expression. This means abundance of open space, easy access to un-spoilt nature, beauty in parks and in fine buildings, gymnasium and swimming baths and recreation grounds in plenty, central spaces for celebrations and demonstrations, halls for citizens’ meetings, concert halls and theaters and cinemas that belong to the city. And the buildings must not be built anyhow or dumped down anywhere; both they and their groupings should mean something important to the people of the place. (1) provide adequate community expression. (2) make available centres of recreation and public gatherings. (3) facilitate traffic and communication. (4) raise the tone of life and make it more meaningful. (1) the possibilities of living a decent life cannot be found in a city. (2) only a city can provide the means to lead a full life. (3) among other places, a city can also help man to lead a successful life. (4) a city provides better opportunities for good living than a village. Directions (Question 23): Choose the word which best expresses the meaning of the underlined word in the sentence. 23. The tour was cancelled on account of incessant rain. Directions (Question 24): Choose the word which is closest to the opposite in meaning of the underlined word in the sentence. 24. We must realize the futility of wars. Directions (Question 25): In the following question, four words are given, three of which are spelt correctly while one is mis-spelt. Choose the mis-spelt word. Directions (Question 26): Fill in the blank. 26. We felt it was a movement unable to resist for_________.